T.D. Burnett, M.P. 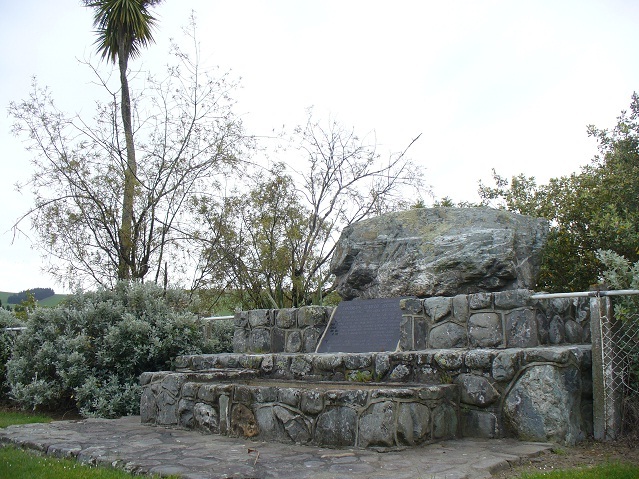 for Temuka 1919 -1941. "Station owner, politician, benefactor and inspiration to many. He gave his time for the good of the community for no reward other than the satisfaction of helping others", wrote James Maxwell in 1991. Became a Member of Parliament and was responsible for a major South Canterbury, N.Z. irrigation scheme, the Downlands Water Supply. Oh ye who enter the portals of the Mackenzie to found homes, take the word of a child of the misty gorges and plant forest trees for your lives. T.D. Burnett is the second son of Andrew Burnett. He was born on 25 Nov. 1877 at Cave and educated at Timaru Boys High School. On leaving school Mr Burnett went to work on his father’s Mount Cook Station. 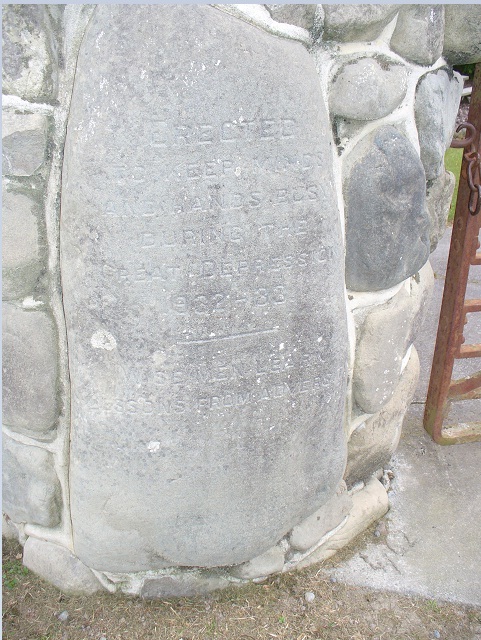 He was a member of the Mackenzie County Council 1911-17 representing Tekapo Riding, first chairman Tekapo Rabbit Board, a nature conservationist, was a moving figure in the establishment of the Tekapo Sale with its own new yards in 1928, built St David's Pioneer Memorial Church at Cave in 1930 at his own expense and organised, paid for and erected the memorials at Burkes Pass, Mackenzie Pass and the War Memorial on the Cave Hill, involved in alleviating distress caused by the Great Depression of the 1930s. Instigator of Downlands Water Supply Scheme, owned Mt Cook Station, he was also instrumental in getting the Land Act altered to give security of tenure to pastoral lessees, enabling progress in the high country and was Member of Parliament for Temuka from 1919 until his death in 1941. His slogan was production and more production. The death occurred early yesterday morning after a severe illness of Mr. Thomas David Burnett, M.P. for Temuka, aged 64, says a Press Association message from Timaru. Mr Burnett was first elected to the House of Representatives as member for Temuka in 1919. He was one of the old Reform Party and had a lifelong interest in pastoral matters. His knowledge of high-country farming was profound. Although in recent years he was not a frequent speaker in the debates in the House his contributions always commanded attention. For some years he had been in indifferent health. He was one of the best-known station-owners in the Mackenzie Country. 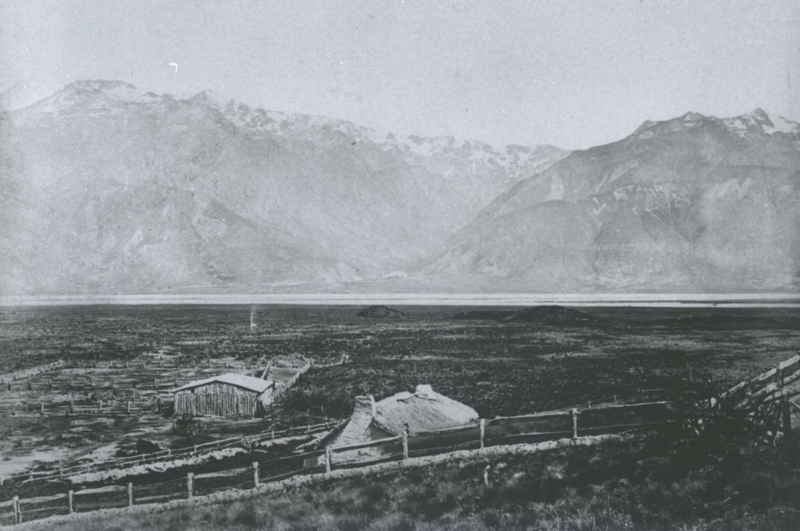 He owned the Mount Cook Station, which was taken up by his parents in 1864, and which today is the only property in the Mackenzie Country still owned by the family of its original occupiers. Mr. Burnett was a strong advocate of tree planting and co-operative farming. He planted 300,000 forest trees on high country and made a study of erosion and rivers; Mr Burnett was born in 1877, and was educated at the Timaru Primary School and the Timaru Boys' High School. Immediately on leaving school he began his career as a pastoralist on the Mount Cook Station, a property of 31,000 acres, lying between the Tasman and Jollie Rivers in the neighbourhood of Mount Cook. He specialised in merino sheep, and owned one of the purest flocks in Canterbury, producing a type extremely suitable to the high country in which they are bred. He also looked after other family properties, including Aorangi, Cave, Cox's Downs, and Tasman Islands in the Tasman Valley. 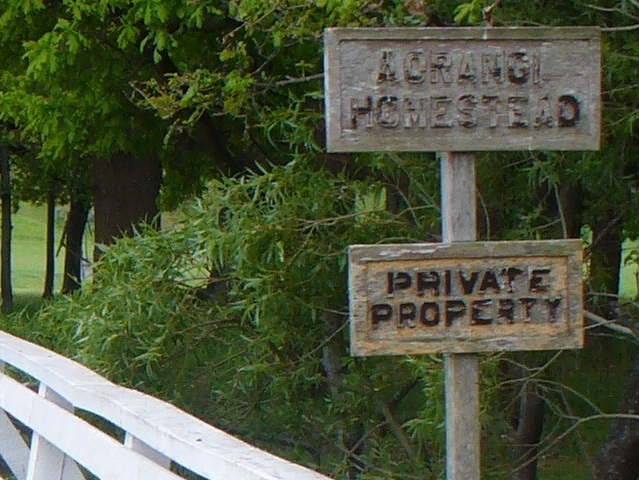 Aorangi was taken up by his parents in 1872. Mr. Burnett established the Strathona Hostel for the training of young women in homecraft with a view to assisting on farms, this institution being the first of its kind in the Dominion. 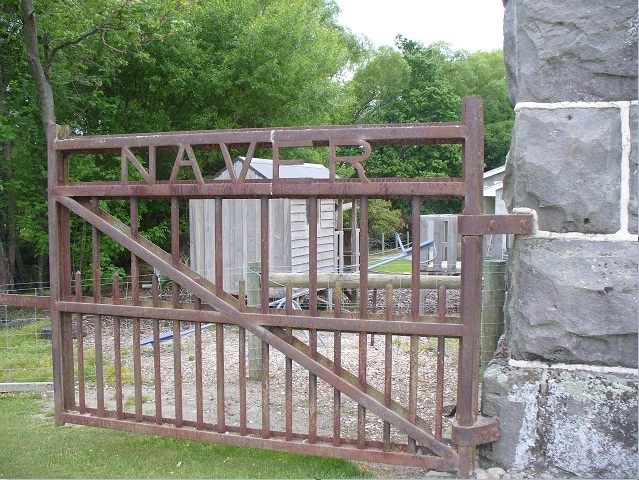 The Burnett family has always recognised the debt owing to the early pioneers, and their gift of St. David's Pioneer Memorial Church at Cave, one of the attractions in South Canterbury, is a practical expression of that regard. 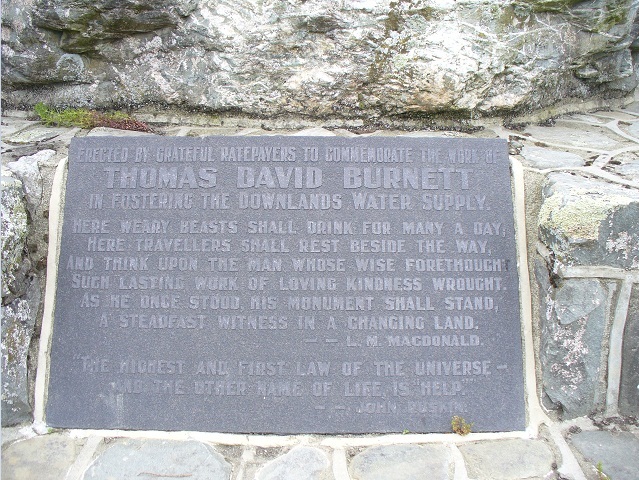 Mr. Burnett was prominently associated with the Downlands water supply scheme, which ensures an adequate supply of water for an area which had been subject to drought. Mr. Burnett is survived by his wife, one son, Mr. D. M. C. Burnett [D. Mount Cook Burnett July 21, 1915 - July 15, 2010], and a daughter, Miss Catriana Burnett. Fire at Mt. Cook Station. The fire spread along the northern side of Lake Pukaki burning close to 1000ha, mostly mature wilding pines, larches and Douglas fir. The fire was the biggest disaster the station had ever endured in its 145-year history. The spread of wilding pines was a serious concern. Burnett said the parliamentary side of farming was more important now than ever. "And to install only five Members of Parliament out of 120 to represent the rural area of the South Island, the bread basket of New Zealand, is an affront to democracy and the sign of madness - and we (the high country people) are left in battle." REFORMERS FOREGATHER IN MACKENZIE COUNTY. DINNER TO MR T. D. BURNETT, M.P. Prior to the commencement of the banquet the Fairlie Brass Band and the Pipe Baud played selections, two of the members afterwards playing the guest to the table. Mr Burnett's reply. He took his audience back a number of years to the great snowstorm of 1895. He was then, a lad of seventeen, and he possessed vivid recollections of the work which he saw done, and in which he lent a hand, in saving the sheep on Mount Cook Station. He graphically described the scene, in a snow cramp, with walls six feet high, and tier upon tier of dead sheep. The sheep collected in one common centre, and he had seen them in the last throes of agony eating the wool off their dead mates and biting off their ear. He made up his mind that he would do what he could when he reached maturer years to relieve the sheep losses in the Mackenzie. He had been trying to practise the idea that by fencing in the best block s on the sunny side of the ranges and concretrating the flocks they would reduce their losses. One of his principal reasons for coming of into politics at that time was to help the "tussock country" man who was subject, to snow losses throughout the South Island. South Canterbury people did not realise the great asset they possessed in the back-country, and particularly in the Mackenzie. But there was some of the finest scenery in the world there — so fine, in fact, that people were coming 16,000 miles to see and enjoy it. While they had the Hon. Mr Nosworthy, Minister of Tourist Resorts, with them, he would like to say that they (the people of South Canterbury and the Mackenzie Country) hoped and expected that the Department Mr Nosworthy represented would be a progressive one, and would realise that there was in this district scenic grandeur which should prove a most valuable asset to the Dominion. He then passed on to speak of hydro-electric power, and stated that South Canterbury was also abundantly endowed with water power. One of the great questions of the hour was the question of hydro-electricity. As man became more and more civilised unfortunately he was inclined to go off work. He believed, if the question was reduced to bedrock, that was the reason for the increased cost of coal — a man did not want to spend too much time down in the bowels of the earth hewing coal. They were consequently forced to look about them to find a motive power to substitute that of steam generated by coal, and that they had in the shape of an unlimited water power. Naturally they looked to the Government in matters political, but so far as the industries of the dominion were concerned he hoped, felt, and expected that the people of New Zealand would maintain that laudable spirit of self-help which had been the means of carrying the British flag to the four corners of the world. 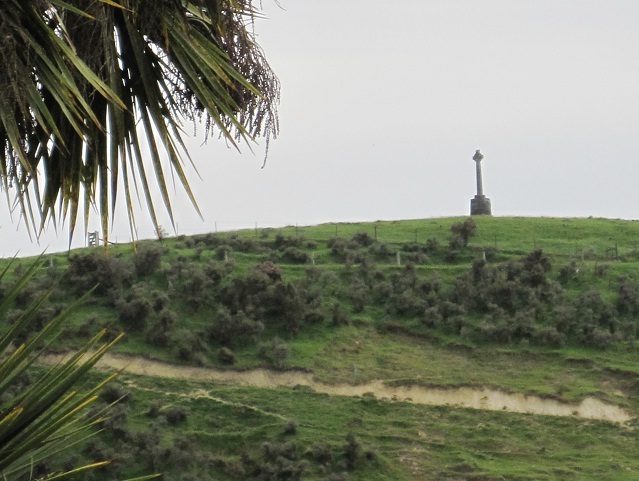 At the present time one of the greatest questions in Timaru was the harnessing of the great water power they possessed, to supply sufficient power for their entire needs—not only for themselves but for the needs of mid-Canterbury and North Otago. They should not look to the Government to help them in the matter of the water power scheme. What in his opinion should be done was to form, a rateable area, on. the lines of the Timaru Harbour area, in South Canterbury, Ashburton County, and North Otago. They would then, have a rateable value of £30,000,000 with which a power scheme, primarily on self help lines, could be installed. When he attended the meeting in Timaru on Saturday he intended to act on these lines, because he did not think Lake Coleridge, was capable of supplying the needs of South Canterbury. It would take it all its time, in his opinion, to supply North Canterbury, and in the near future the question would arise of supplementing Lake Coleridge. He was himself primarily a "tussock" man, and one of the things that had impressed him was the way the high country and pastoral interests had been neglected and "tomfooled" with by people who did not understand the position one of the things he hoped to see before long was that in connection with dangerous high country which had a reputation for snow losses, there should he keyed into the terms of a lease a provision which would allow the setting aside of a section of country suitable for growing winter feed, say on the Rangitata plains. That he thought was one of the ways they could reduce the snow losses of the high country. The present age was one of production and high production, and it was only by doing their utmost in producing that they would carry the dominion through the grave times that seemed to be ahead. Regarding the interests of the wheat grower, of which class he had the honour to represent a large number, his opinion was that if they wished to get the maximum production they must have a free and open market. Regarding the "man on the tussock," he was out to help him. He recognised that in the past he had been neglected to a great extent because the men who had the handling of the question were not men conversant with the conditions for which legislation was required. There was a great future ahead of the back country of Canterbury and Otago if handled properly. The time was fast coming when most of the sheep in the back country runs should be taken out and fed on the plains, where farmers could grow-turnips, etc., as was done in Scotland. There was enough Scottish element about the Mackenzie Country to realise this. He was in accord with the views of Mr Burnett, because knew the importance to the Dominion of saving the stock. During the evening musical and dancing items were given by Messrs G. A Sherwin, D. S. Keay, H. Macdonald, Pipe-Major D. Ross, and Mr Axel Newton. A memorable gathering closed with a verse, of the National Anthem. The success of the function, was largely due to the excellent arrangements made by Mr H. A. Munro, who acted as secretary to the banquet committee. Sunday. The death has occurred of Mr. Thomas David Burnett, M.P. for Temuka, aged 64. Born at Cave and educated at the Timaru Boys' High School, he went to work on the station of his parents, the late Mr. and Mrs. Andrew Burnett, who came from Scotland to Canterbury in 1861, and proceeded to the Mackenzie Country. In 1864 they took up the Mount Cook run, which Mr. Burnett inherited on the death of his father. Mr. Burnett entered politics in 1919, when he won the Temuka seat, which he had held ever since. The Burnett family had never forgotten the debt they owe to the hardy pioneers, and their gift of St. David's Pioneer Memorial Church at Cave was a typical expression of their regard. The hard life facing women on farms induced Mr. Burnett to establish the Strathcona hostel, where young women were trained in homecraft with a view to assisting on farms. Mr. Burnett provided a large area of land, and made himself largely responsible for the financial upkeep of the institution. Mr. Burnett is survived by his wife, one son and one daughter. A FINE PIONEER "MAN FROM SNOWY RIVER" (By J.C.) The late Mr. T. D. Burnett, M.P. for Temuka, had earned the poet's description of an outback man more truly than any Australian ever could in this particular aspect of rough life, for he led for many years a frequent battle against the wildest torrents in New Zealand's Alpine regions. The pioneer sheep farmer's daily work in the Mackenzie, Tasman and Aorangi country took in the crossing and recrossing of icy rivers close to their sources. Pastoral work could have no more difficult scene in and part of the world than that which the Burnett family, then employees, faced in that land of savage waters. The life of a lord of many acres and many flocks of Merinos was a round of great physical toil and harassing anxiety and care, though it had its compensations There was many a peril which could not be avoided; the wool wagons had no convenient bridge; the musterer must take the risk of avalanche and snowdrift. 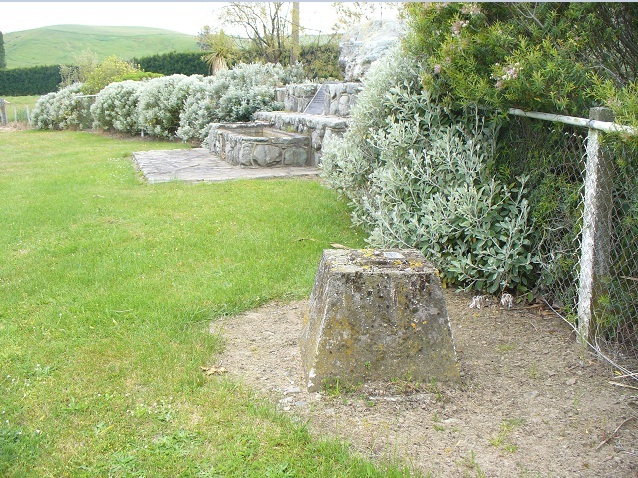 There is an imperishable memorial to the truly heroic toilers and adventurers of the Mackenzie Country in that wonderful little square-towered church in stone, built by the Burnett family, which stands at "Aorangi" near the township of Cave, inland from Timaru on the way to the Southern Alps. Built of the rock of the country in the rough, it is somewhat like an ancient Norman keen It is called St. David's, a place of worship built in memory, primarily of Andrew and Catherine Burnett who took up the Mount Cook sheet) run in May, 1864, and, as an inscription states, "in the wilderness founded a home." A stone of history in the porch bears the legend: "This porch is erected to the Glory of God and in memory of the sheepmen, shepherds, bullock drivers, shearers and station hands who pioneered the back country of this province between the years 1855 and 1895." Another inscription is in memory of the women of the pioneer families, "who through Arctic winters and in the wilderness maintained their homes and kept the faith." 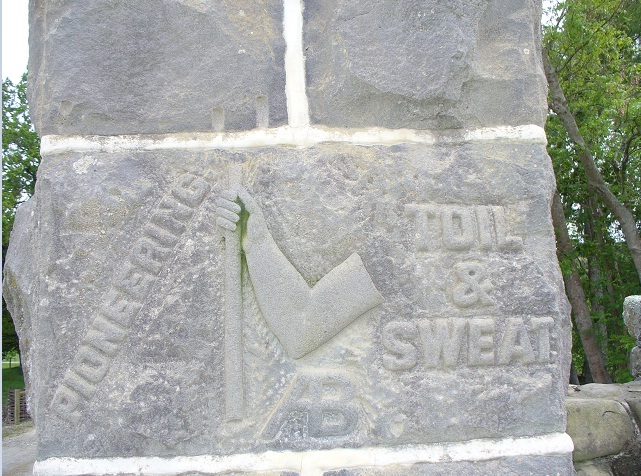 Such a monument, honouring all hands from owner to bullock driver, is more eloquent and durable than any book. Silently eloquent, too, are the great plantations of hardy trees, hundreds of thousands of them, which the public-spirited son of the, founders of the original station planted in his efforts to temper the icy gales and the scorching summers of the plains to the people and the flocks of the Mackenzie Country and to prevent erosion of river banks. "His forthrightness, realism, and sincerity were tonics in these days when false propaganda threatens to sway opinion by clouding truth and right," stated Mr. Hamilton, member of the War Cabinet, in paying a tribute to the life and work of the late Mr. T. D. Burnett, M.P. for Temuka. Mr. Hamilton has returned to Wellington after attending Mr. Burnett's funeral. Mr. Hamilton said he felt he would be right in saying that no member of Parliament in New Zealand's history ever did more for his district and for those who entrusted him with their confidence than had Mr. Burnett for Temuka and South Canterbury. As a friend Mr. Burnett was staunch and true, and as a colleague he was wise in counsel. In his passing many, especially his Parliamentary associates, had lost a personal friend, loved and respected by all sections, while New Zealand had lost a valuable public man and South Canterbury, and specially the McKenzie Country, had lost a notable champion. Mr. Hamilton added that Mr. Burnett could rightly be styled a progressive Conservative; he respected the traditions and experiences of the earlier settlers and public men, yet kept fully abreast of the times. He was of the finest pioneering type that was fast passing, greatly to the disadvantage of the country. His passing was a challenge to others, inspired by his example, to take up and carry on for the country's sake the labours in which he was engaged. Mr. Hamilton referred to the picturesque setting in which the funeral service was held at Cave, and said he hoped someday to make a pilgrimage to Mr. Burnett's grave, "To his gracious and devoted wife, to his son and daughter, and to his brother and sisters," Mr. Hamilton concluded, "we offer our sincerest sympathy and good will, and trust that the memory of his goodness and greatness will be to them an everlasting source of joy and comfort." 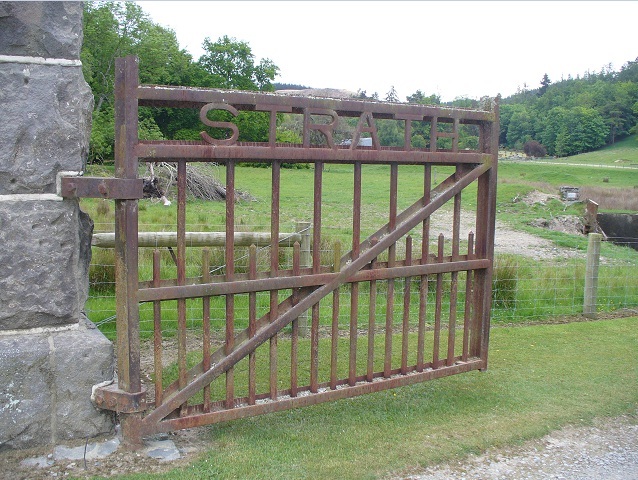 Private property with a striking entrance! Another gateway - Pioneer Park. Mr T. D. BURNETT. Mr Thomas David Burnett (Temuka) is a native of South Canterbury, where he has spent the whole of his life with the exception of the time he has been engaged in travelling. 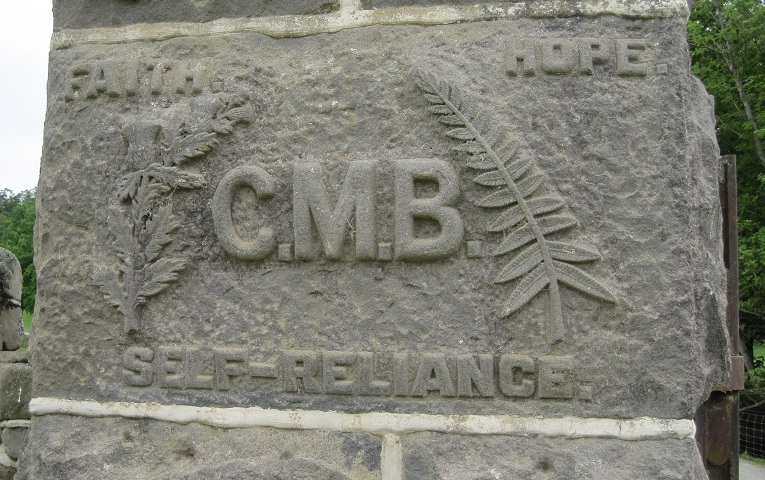 The second son of Mr Andrew Burnett, of the Mount Cook Station, Mr T. D. Burnett was born on his father's station 44 years ago, and received his education at Timaru, finishing up at the Timaru Boys' High School. Of a studious turn of mind and devoted to literature. Mr Burnett is a well read man, and has travelled more extensively than the average colonial. Mr Burnett, has not been extensively associated with public life in South Canterbury and beyond having been a member of the Mackenzie County Council, for some years, he has not played a leading part in local government. For some years he was a prominent member of the Canterbury Sheepowners' Union. Otago Witness 2 December 1908, Page 39 Fairlie (South Canterbury). November 25. The elections have of late practically left little else on the minds of folk. What with parliamentary aspirants, County Council representatives, and the no-license poll we certainly have had a surfeit of ballot-box matter. In each case, too, more that ordinary interest was manifested. Politics has been, given more attention and thought this, time than for many years, a deckled awakening from the apparent apathy of a few previous elections being most noticeable, with an accompanying tendency to find fault with the present governing party, this the more particularly with the country people. In the country election interest was lent to it in the local riding on account of three new candidates seeking the suffrages of the ratepayers to fill the vacancy left by Cr Black not seeking re-election. The position was secured by Mr A. S. Smith with a record vote of 137, closely followed by the two old members, Messrs R. Guthrie and F. R. Gillingham. The town vote was not strong enough to place either in dangerous proximity. For the interior riding Mr Tom Burnett came out at the eleventh hour in opposition to the old members, Messrs Rutherford and Esclapfer, whom he found too firmly seated to replace. in fostering the Downlands water supply. Such lasting work of loving kindness wrought. A steadfast witness in a changing Land. 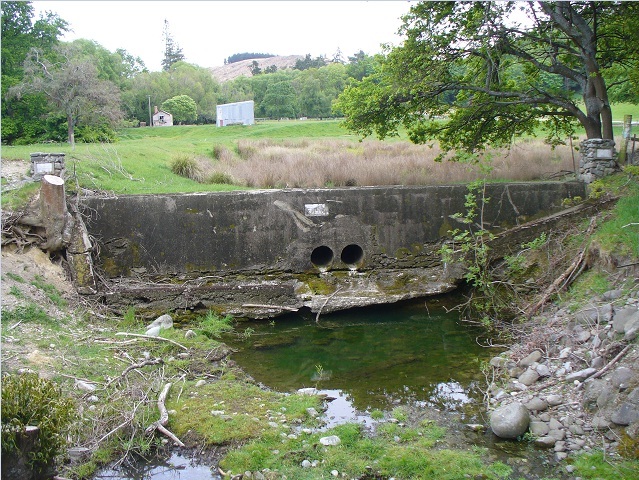 In 2009 The Downlands Water Supply supplied 78,000 hectares within Timaru District, Waimate District and Mackenzie District. It is a restricted water supply and this means the daily allocation is supplied into a tank at a constant rate over a 24 hour period. If the tank is full, the ballcock shuts off the flow. Water is sold by the unit. Each unit allows for a supply of 1,000 litres per day, provided storage capacity is available. The allocation is based on a supply of 56 litres per hectare per day, plus 900 litres per dwelling per day where this allocation has been approved. Over recent years the subdivision of land has resulted in some reallocation of units and therefore the above formula may not strictly apply. The Timaru District Council is responsible for the management and operation of the water supply. To prevent back-flow the tank must have an overflow outlet 40mm below the ballcock inlet level in the tank. 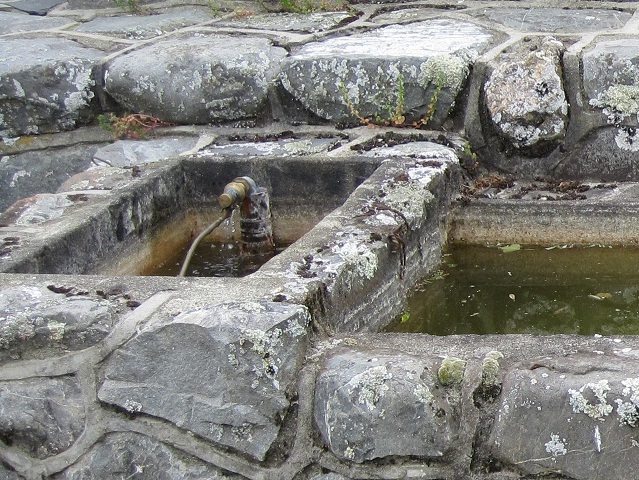 The Downlands Water Supply has five intakes. The Tengawai intake supplies the majority of the Downlands Water Supply. 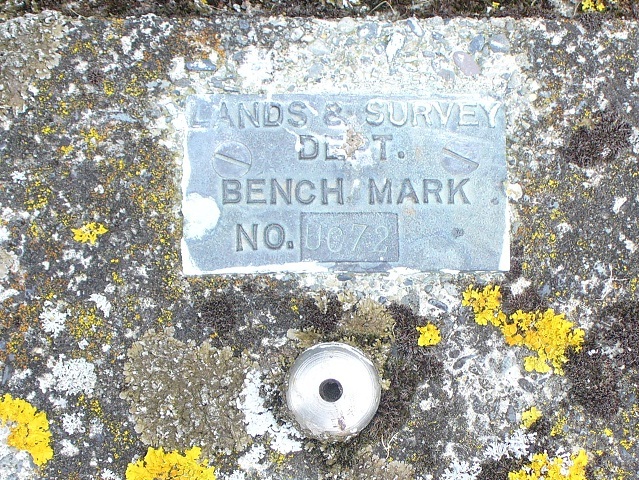 The term bench mark, or benchmark, originates from the chiseled horizontal marks that surveyors made in stone structures. The term is generally applied to any item used to mark a point as an elevation reference. Frequently, disks are set in stone or concrete, or on rods driven deeply into the earth to provide a stable elevation point. ACRES AND WOMEN. 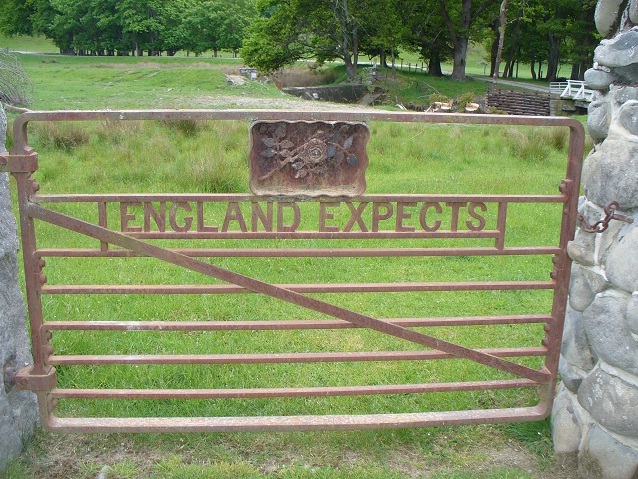 There are thousands of acres of the best land in New Zealand and thousands of the best homes not being properly developed at present, because the owners are not prepared to take just any kind of outside labour inside their homes," said Mr T. D. Burnett, chairman of the Canterbury Sheepowners' Union. "Yet there are now thousands of women roaming about New Zealand drawing soldiers' pay and living a life of idleness. There is something wrong with our social system when that state of affairs can exist." TEMUKA. Timaru, 11th November. Mr. T. D. Burnett, owner of Mount Cook station and farm at Cave, opened his campaign for the Temuka seat at Cave. While preferring unity of the parties, he would follow Mr Massey for the sake of strong government, independents being useless. His main plank-was progress and well-being, founded on land administration and a fair incidence of taxation. The aim should be an occupying ownership, with leasehold as the stepping stone to the freehold, and the multiplication of small holdings. The wheat districts should grow the Dominion's bread, farmers to be encouraged to do so by assured prices. As to the railways, the South Island, trunk line should be finished and motor trollies run on both roads and branch railways by a change o£ wheels. He was against nationalisation, as self-interest made men do their best. Education needed improvement and more liberal provision. Timaru, 22nd December. Additional absentee votes have reduced Mr. T. D. Burnett's (Reform) majority over Mr. C. J. Talbot (L.) far the Temuka seat from 35 to 29. An official count is now in progress. Mr. T. D. Burnett (Temuka) is the second son of Mr. Andrew Burnett, of "Aorangi," Cave. He was born at Cave and educated in Timaru, being an old boy of the Timaru Boys' High School. On leaving school Mr. Burnett went to work on his father's Mount Cook station the furthest back station in the Mackenzie Country. This station is now owned by him and he has lived there practically all his life. Mr. Burnett is a man who has made a serious study of the problems of this and other countries, and has very decided views of most matters of moment. He has travelled extensively, and read widely, and makes a success of whatever he takes in hand. When on the Mackenzie County Council he proved a very useful member of that body. Always a staunch advocate of anything that add to the productivity of the Dominion. Mr. Burnett makes "production and more production" his slogan, and never loses an opportunity to advise farmers and runholder's to go in for tree planting. 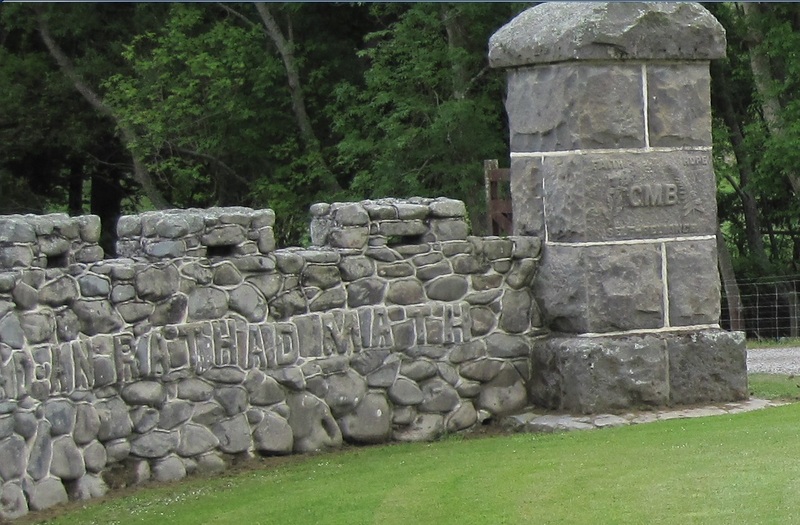 About a year ago he erected a monument at Burkes Pass to commemorate the noted Mackenzie after whom the Mackenzie County was named. He is an advocate of co-operative farming, and on a down-country holding, in which he has a controlling interest, he has put his ideas in this respect into practical shape. Mr. Burnett is married, and has two children. 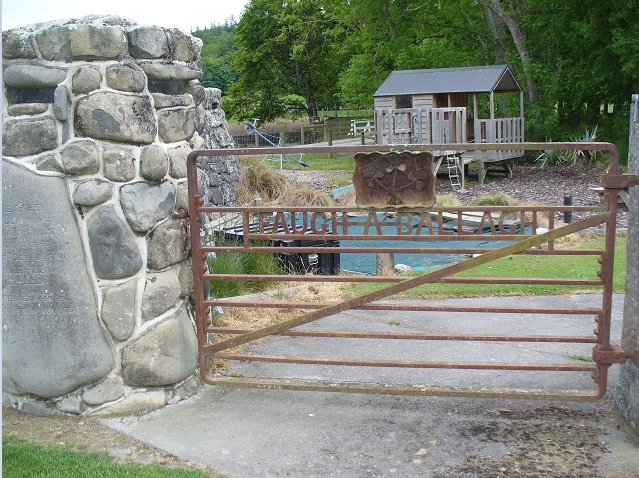 Speaking at the luncheon to Captain Euan Dickson, at Fairlie on Thursday, the chairman, Mr T. D. Burnett, M.P., said the first Red Letter day of the Mackenzie Country was the day when Michael John Burke pushed through the ridges and discovered the Pass now bearing that name. The next was when the first bullock dray made its way across the tussock flats. The next when the first four-in-hand came through from Albury, and the next when the first six-in-hand one-day coach was driven from Fairlie to the Hermitage by Tom Shaw. Later the Mt. Cook Company opened a pioneer motor service, and lastly that day was the reddest of all, when the first aeroplane came from Christchurch to Fairlie by airline. Auckland Star, 17 September 1921, Page 12 DAIRYING IN CANTERBURY. SIGNS OF INCREASE. Timaru, Friday. A tour of South Canterbury dairy factories was made to-day by Mr. T. D. Burnett, M.P. He learned that in the aggregate they distributed to suppliers well over £200,000 yearly. Dairying was only beginning in this district. Helped by the slump in meat and wool, it is expected to increase considerably. There were some, good speeches in the Address-in-reply debate in the House of Representatives yesterday. Mr. T. D. Burnett gave a contribution characterised by much thought. He prefers to speak of subjects he has studied. That two of the nineteen dairy instructors in the North Island should be transferred to the South Island, where there are none, was a request made by Mr. T. D. Burnett (Temuka) to the Minister of Agriculture in the House of Representatives yesterday. Evening Post, 10 August 1922, Page 7 CHILDREN'S RAILWAY FARES. Large numbers of country school children are attending dental clinics. in, towns, but railway concessions of half fares for children apply only children under twelve. Mr. T. D. Burnett (Temuka) yesterday asked the Minister of Education if, in view of these facts the Education Department in the interests of public health and national efficiency would favourably consider extending the half fares to children over twelve. The Hon. C. J. Parr said that there seemed to be no reason for differentiation. He would see if anything could be done. Mr. T.D. Burnett (Temuka) congratulated the Government in having had the courage to lease the Hermitage, which had been a white elephant; a sink for public money. Evening Post, 14 October 1922, Page 7 INLAND WEATHER STATIONS. Suggestions that the Marine Department should establish- more inland meteorological stations so that information of value to farmers might be secured were made in the House of Representatives by Mr. T. D. Burnett (Temuka) yesterday. Mr. Burnett mentioned the need for a station in Central Otago, another at the Mount Cook Hermitage, and a third at Lake Coleridge. The Hon. G. J. Anderson replied that the needs of the Marine Department were met by the stations on the coast, but he could quite see the value of inland stations to the farmer. He suggested that Mr. Burnett should collaborate with, other members interested, and then put before him the positions at which it was thought desirable to establish stations. He would have to have an assurance, too, that there were people willing to attend to the instruments daily. Candidates have to speak early and late in country electorates in order to cover the whole of their district in the time they have at their disposal. Mr T. D. Burnett was advertised to address five meetings in one day recently in the Temuka district. The first of them was at 7.30 a.m.! So far, the only candidates who have followed the example of Mr H. E. Holland in holding political meetings on Sundays have been members of Mr Holland's party. The Hon. W. Downie Stewart (Minister of Internal Affairs) left for the South last night. To-night the Minister will attend a banquet at Fairlie to Mr. T. D. Burnett, M.P. He will return to Wellington about the end of next week. Evening Post 3 August 1923, Page 7 FUR PER ACRE. Apparently there are those in New Zealand who have hopes of the fur trade becoming one of the principal industries of the country. Speaking in the House of Representatives last evening, Mr. T. D. Burnett (Temuka) asked how it was expected to exterminate the rabbit pest when some people held the idea that fur would give a greater return per acre than wheat and other agricultural produce. Mr. T. D. Burnett, M.P for Temuka, is mow making steady progress towards recovery from his recent serious illness. Since returning from hospital in Dunedin, Mr. Burnett had made his home in Timaru. He is at present at Mount Cook to see what a change of atmosphere in the higher altitude would do for him. There is a growing tendency in New Zealand to depend on the Government from the time you are born until the time you are put under the ground," remarked Mr. T. D. Burnett (Temuka) in the House of Representatives yesterday afternoon. "It is a wonder someone has not advocated that the Government, should take a hand in the undertaking business, and provide cheaper coffins for the people as a whole." Wanted - Youth of 17 to 18 years for Mt Cook Station. Temuka, 15th October. Mr. T. D. Burnett, Reform candidate for the Temuka electorate, addressed the first meeting of his campaign at Temuka to-night. He condemned triennial Parliaments as too short, and advocated four-year Parliaments. The salary of £450 to members, he said, was too small for other than members who were financially independent. He admitted that mistakes had been made in connection with the purchase of land for soldiers, but denied that any Government could have done better under the circumstances which prevailed following the war. Mr. Burnett advocated more science in farming, to secure the maximum production from the land; to secure this, only men and women of the right temperament should be put on the land. He condemned too much dependence on the Government, saying if too many gathered round the old milch [sic.] cow she would go dry. The candidate was accorded a vote of thanks. Evening Post, 20 October 1928, Page 11 LIKES THE QUICK DECISION. "Mr. Coates is a cool calm Englishman. I am a Highlander, and I like the quick decision, and have a row afterwards if necessary," said Mr. T. D. Burnett in the course of his address at Temuka on Monday night when he was advocating a change in the arbitration system. The present system was the fruit of the brain of the Hon. W. Pember Reeves twenty-five years ago, he said, and while it might have suited that period, they needed a change to-day. Alarm at the depredations of the kea in the high country in Canterbury and Otago was expressed in the House of Representatives last night by Mr. T. D. Burnett (Reform, Temuka), who deplored the fact that the amount to be paid on bonuses for the destruction, of the bird had been reduced in the Department of Agriculture Estimates. Mr. Burnett said that in his own flock of 6000 merinos the annual loss was between 500 and 600, per annum. He asked the Minister to pay a bonus of Is per head to keep the lambs alive. This would go a long way to keep the confidence of the Crown land settlers. The local bodies in the high country were so keen on keeping down the kea that they subsidised the Government grant. The depredations of the keas had cost the sheepfarmers hundreds of thousands of pounds. The old question of whether or not the kea kills sheep was before the House of Representatives yesterday Mr R. McCallum (Wairau) asked why the Government was wasting money in buying kea's heads at 5s each when really this New Zealand eagle did no harm at all. The Minister of Agriculture retorted that the alleged eagle was a mountain parrot and that his own experience as a Canterbury farmer had proved to him that the kea did kill sheep. Mr T. D. Burnett (Temuka) assured the House that his flock of 6000 sheep was reduced by 500 yearly by keas. He had seen snowfields stained with blood in the country owing to attacks by these birds. Auckland Star, 24 May 1930, Page 20 "SPARE THAT TREE!" MR. FORBES' REPORT. OPPONENT'S CONGRATULATIONS. Among the many telegrams of congratulation received by the Hon. G. W. Forbes following his selection by the United party conference as leader and successor to Sir Joseph Ward, was a message from Mr. T. D. Burnett, Reform member for Temuka, who, although in opposition to the Prime Minister-elect, is an old and close personal friend of Mr. Forbes. The message was couched in the following terms: —"Heartiest congratulations on having reached the top of the tree. Of course, I shall take the first opportunity of breaking the branch below you, but in the meantime the best of good luck." The reply of the Prime Minister elect was typical of a man who is noted for his sense of humour and ready wit: "Many thanks for your message of congratulation. Woodman, spare that tree!" Evening Post, 23 July 1931, Page 16 FARMERS IN PROTEST. It was only by the grace of God, the stock and station agents, and the Government that some farmers were carrying on, said Mr. T. D. Burnett, M.P. for Temuka, at a recent conference held at Timaru. Twenty to thirty million pounds less was coining into the country for produce and the primary producer was the lock, stock and barrel, of the whole community. He thought it a good idea that farmers should get together—the men refuse to pay more than £5 for a suit, the women less for materials in accordance with lower produce prices; and both should refuse to take the car out of the shed unless they could get petrol for Is 6d a gallon. They should refuse to support agricultural and pastoral associations and other organisations unless they made the farmer's cause their business. At the 1931 election, Mr. T. D. Burnett polled 4737 votes, and Mr. T. H. Langford (storekeeper at Winchester) (Union Party) 3500. Timaru, August 28. Mr. T. D. Burnett, who has been member of Parliament for Temuka since 1919, has definitely decided not to contest his seat at the-forthcoming election on account of health reasons. Timaru, September 9, Mr. T. D. Burnett, M.P., has reconsidered his decision to retire from politics, and will again contest the Temuka seat. Auckland Star, 28 September 1933, Page 5 COUNTRY STOREKEEPER. RELIEF MEASURES URGED. WELLINGTON, this day. Many classes in the community have been given legislative shelter from the results of the economic depression, and it is the opinion of Mr. T. D. Burnett (Coalition Reform, Temuka) that the turn of the country storekeeper has arrived. He asked the Minister of Finance in the House yesterday to consider measures for the relief of the country storekeeper, who, during the crisis, had performed splendid national service in feeding, and ill many instances clothing, many thousands of down-and-out settlers, without a vestige of security. "It is an absolute certainty," added Mr. Burnett, "that if, it were not for the line disinterested actions of the country storekeeper the demands on the funds of the Employment Board and Charitable Aid Boards would have been much greater." Evening Post, 4 October 1935, Page 9 EXPEDITIONARY FORCE? QUESTION IN HOUSE Information as to whether New Zealand possessed material sufficient to fit out an expeditionary force to back up the League of Nations Covenant was sought by Mr. T. D. Burnett (Government, Temuka) in the House of Representatives last night, when the Defence Estimates were under discussion. Mr. Burnett said that if a force could be fitted out, it would show the generalship of the Department. The answer of the Minister of Defence (the Hon. J. G. Cobbe) was brief. "That is a matter which up to the present the Department has not considered," he said. WATER FOR BIG AREA TIMARU, February 13. The Minister of Public Works, the Hon. R. Semple, made a short visit to Timaru today for the purpose of investigating a pressure water supply scheme for the down lands of South Canterbury. The scheme is sponsored by Mr. T. D. Burnett, M.P. for Temuka, who arranged a public meeting at which the Minister was present. Mr. T. G. Beck, Resident Public Works Engineer, outlined the proposals, which aim at supplying water to an area of 123,000 acres. The estimated cost of the scheme is £179,000, of which £48,000 is for the labour, the balance being for materials and transport of materials. The meeting passed a motion impressing on the Government the urgent need of a water supply, and the Minister promised to give the scheme sympathetic consideration. ASHBURTON, This Day, Reference to the international crisis was made by Mr. T. D. Burnett in an address at Tinwald last night. He said that in the event of war New Zealand would not be asked to send an expeditionary force to Europe, but to join Australia in sending a land force to guard Singapore. He urged people to make rifle shooting as much a national pastime as football, and pointed out the necessity of training women and girls in nursing. Auckland Star, 16 November 1939, Page 14 NAILED TO MAST. FARMERS' COLOURS. SOCIALISATION OPPOSED. MR. T. D. BURNETT SPEAKS OUT. Christchurch, this day. "While war continues, I, and those for whom I speak, are willing to work from daylight to dark, 40 or even 80 hours a week, to maintain production at its highest possible peak. But once peace is concluded we will fight tooth and nail to the bitter end to prevent the nationalisation and socialisation of our properties." Mr. T. D. Burnett, M.P., himself in these terms to a Christchurch interviewer. "Our colours are nailed to the mast, right to the top of the pole," he said. He explored that he was expressing the views of a group of runholders in the Mackenzie Country, who were almost a co-operative community. "I want to make it clear what a typical group of high-country farmers think of the matter." he added. "While the war is is on we are only too willing, in fact, delighted, to bend all our efforts to increasing production in the country's interests, but we stand four-square against the socialisation of our produce. I am sure that these are the views of 90 per cent of the men on the land in New Zealand. Rallying Point. "When the war is over I am making this a rallying point for every man on the land. Why should a man who was a book agent a few years ago (the Hon. Walter Nash) have full control of the primary produce of the Dominion? He was not appointed to that position by the producers. It was only a political accident that he assumed control." The question of nationalisation of production and farm lands should be decided by a vote of the producers themselves. "Directry peace is restored, and those for whom I speak, will assume complete control of the sale and disposal of our primary produce," Mr. Burnett concluded. The low price obtained for sheep in the Mackenzie County, Canterbury, was the subject of a notice of question given by Mr. T. D. Burnett (National, Temuka) to the Minister of Finance (Mr. Nash) in the House of Representatives yesterday afternoon. Mr. Burnett asked whether the Minister had seen an account of the Mackenzie County annual sheep sale held on March 1 at Lake Tekapo, where a certain line of 460 sheep were sold for £3 10s for the mob, which was slightly under 2d per head, and whether the Minister could advise the Crown tenants of the back country how to meet their Crown rents, rates, taxes, and wages on such a basis. Mr. Burnett added that a few years ago this particular class of sheep was selling from 15s to 20s a head. purchaser, and farmers must realise that they must change their methods so as to produce what that only purchaser required. A strong plea for consideration for the high-country farmer was made by Mr. T. D. Burnett (National, Temuka), who explained that owing to the inequality of climatic conditions the killing of sheep commenced much later in the South Island than it did in the North Island. Of the 31,000,000 sheep in New Zealand 17,000,000 were in the North Island and 14,000,000 in the South Island. Today, under normal conditions, the killing season in the South Island did not cease until well into June, so that the killing restrictions that had been imposed would bear much more harshly on the South Island producer than on the northern farmer. Several other speakers took part, and after the Minister had made a brief reply, the House rose at 11.50 p.m.
Timaru, Thursday. Mr. T. D. Burnett, M.P. for Temuka, is seriously ill. He underwent an operation in Timaru last night. It was reported this evening that his condition was critical. O.C. Christchurch, Wednesday. Nominations for the Temuka seat, rendered vacant by the death of Mr. T. D. Burnett, closed to-day. There are two candidates, Mr. J. Acland (National party) and Mr. D. C. Davie (Independent). The by-election will be held on February 7. Arrangements have been made for the Leader of the Opposition, Mr. S. G. Holland, to address meetings at Temuka next Thursday and at Geraldine on Friday. Mr. Acland, who is a son of Sir Hugh Acland, of Christchurch, is a member of several local bodies and other organisations, and as a farmer, he manages the Mt. Peel station. The Temuka seat, it has been announced, will not be contested by the Labour Party. Mr. H. J. D. Acland, has been elected Member of Parliament for Temuka in succession to the late Mr. T. D. Burnett. With full Scottish honours, the funeral of the late Mr. T. D. Burnett, M.P., took place today. It was attended by representatives of every important organisation in the district, and by Parliamentary leaders. The funeral left Mr. Burnett's residence, Timaru, after a short service at the house, conducted by the Rev. J. Baird, of St. Paul's Presbyterian Church. The funeral then proceeded to St. David's Church, Cave, which was erected by the Burnett family in memory of pioneers. Here, in the district where Mr. Burnett was born; the main service was held, the officiating minister being the Rev. F. H. Wilkinson, Trinity Presbyterian Church. The funeral then went to Mount Cook Station, where the burial took glace, the minister being the Rev. Malcolm Wilson. The Government was represented by the Minister of Industries and Commerce (Mr. Sullivan) and the Opposition by Messrs. S. G. Holland, Adam Hamilton, H. S. S. Kyle, and D. C. Kidd. Included among the mourners were representatives of every local body in the district, leading business and professional men, and representatives of various organisations with which Mr. Burnett was associated. The cortege was headed by the Timaru Highland Pipe Band. The chief mourners were Mrs Burnett, Mr D. M. C. Burnett, Miss C. M.B. Burnett, Mr Donald Burnett (Kurow), Misses M. J. Burnett, J. M. Burnett and J. A. Burnett. The pall-bearers at Timaru were Messrs D. M. C. Burnett, J. Acland, R. S. Goodman, Neil Burns, P. McPherson and H. Low. Those Present. A representative gathering at the funeral Included the Hon. D. G. Sullivan (representing the Government), the Hon. Adam Hamilton (a member of the War Cabinet), Mr S. G. Holland (Leader of the Opposition), Mr H. S. S. Kyle, M.P. 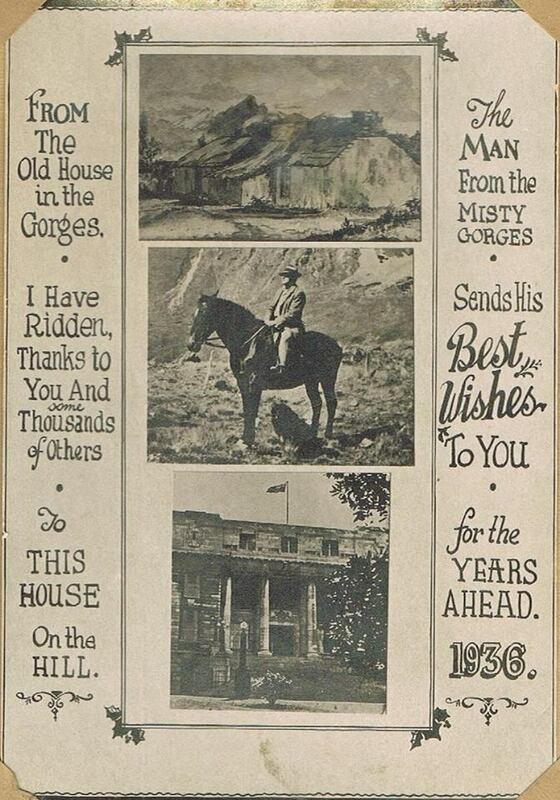 for Riccarton, Mr D. C. Kidd, M.P. 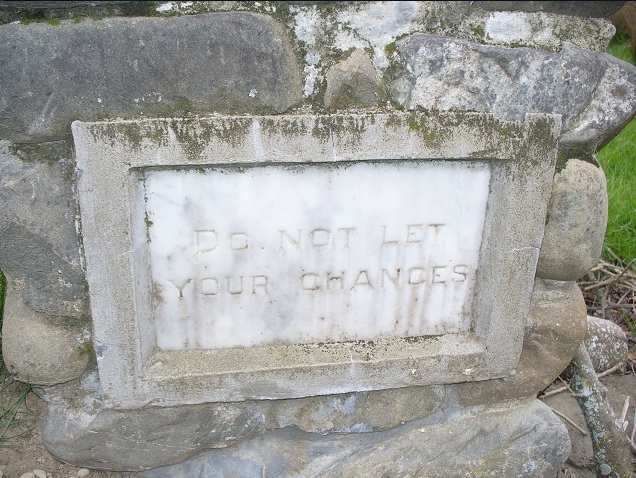 for Waitaki, the Mayor of Timaru (Mr W. G. Tweedy), and the Deputy-Mayor (Mr P.B. Foote), the Mayor of Temuka (Mr W. H. McMillan), the Mayor of Geraldine (Mr D. C. McKechnie), the Deputy-Mayor (Mr P. H. Davis), Mr M. F. Maze (Pleasant Point Town Board), Mr J. Bitchener, Messrs H. B. S. Johnstone, L. J. Collins (Waimate County Council), Messrs Donald Grant, J. E. P. Cameron and H. G. Cleland (Levels County Council), Messrs W. Scott and D. Jeune (Mackenzie County Council), Mr F. M. Talbot (Geraldine County Council), Messrs H. C. B. Withell, S. P. Taylor, F. Frampton, H. H. Hood, M. S. Turton, and G. Kelly (Ashburton County Council), Mr J. Acland (Temuka Electorate Committee of the National Party). Colonel S. C. P. Nicholls (Canterbury organiser for the National Party), Mr H. Wilson, Mr. George Dash. (chairman of the South Canterbury Power Board), Mr P. R. Talbot (Timaru Technical College), Mr J. T. Smart (Temuka Library), Mr W. S. Crotty (Geraldine Farmers’ Union), Messrs A. Johnson and J. Macauley (Temuka Farmers’ Union),' Messrs C. D. Hayhurst, C.T. Borrell, and J. M. Little (Temuka and Geraldine National Party), Mr G. R. Ritchie (general manager of the National Mortgage and Agency Company). Mr A. Anderson (National Mortgage, Timaru), Messrs W. Thomas, F. Trott, Mr A. E. Lawrence (secretary of the Timaru branch of the National Party), Mr H. D. Acland (New Zealand Sheepowners’ Federation), Mr R. C. Todhunter (South Island High Country Committee), Mr W. H. Orbell (Canterbury Sheepowners’ Union), Mr A. M. H. Shirtcliff (Canterbury Farmers' Co-operative Association), Mr J. Turton (Geraldine), Messrs F. J. Rolleston. W. H. Walton, A. J. Allport, W. Vance, E. R, Comer, Mr H.. Wilson (Temuka Pipe Band), Adjutant Allan Angus (manager of the Temuka Salvation Army Boys' Home), Captain Selwyn Smith (Temuka Salvation Army Corps), Mr L. W. Bussell, Mr N. H. Hope (Grampians), Mr A. J. Bell (Geraldine District Band). Pupils of the Pleasant Point District High School and residents of the Stratheona Home Training Hostel, which Mr Burnett founded, formed a guard of honour at Pleasant Point and placed a wreath. Pipers W. Cargo (Seadown) and R. Munro (Pareora) played a lament as the remains of Mr Burnett were carried up the hill to the Cave Church. The bearers were Messrs James and John McLaren and James Aitchison (employees of Mr Burnett), A. R. Se_our, James Little, and John Crawford. The funeral of the late Mr. T. D. Burnett, M.P., to-day was attended by representatives of every important organisation in the district. After a short service at the house the funeral proceeded to St. David's Church, Cave, which was erected by the Burnett family in memory of pioneers of the district. The burial took place at the Mount Cook station. The Government was represented by the Hon. D. G. Sullivan and the Opposition by Mr. S. G. Holland, the Hon. Adam Hamilton, Mr. H. S. S. Kyle and Mr. C. Kidd. The estate of Mr T. D. Burnett, M.P. for Temuka, has been sworn at under £53,000. To the Burnett Valley trustees he bequeathed St. David's Pioneer Memorial Church property as a permanent memorial to his parents, together with £500 as a trust fund, the income to be used to maintain the church property and the Burnett private burial ground. To the trustees he also bequeathed the Strathcona domestic training centre at Pleasant Point and school. From the residue of the estate, income not exceeding £200 annually is to be devoted to Strathcona, with the balance to St. Andrew's Presbyterian College, Christchurch. Mr. Burnett also bequeathed two properties in Timaru to the borough for a pioneer hall. National Party candidate was returned at the by-election held on Saturday in the Temuka electorates to fill the vacancy in the House of Representatives caused by the death of Mr. T. D. Burnett. The seat was not contested by the Labour Party. Results of the voting are as follows: Temuka. 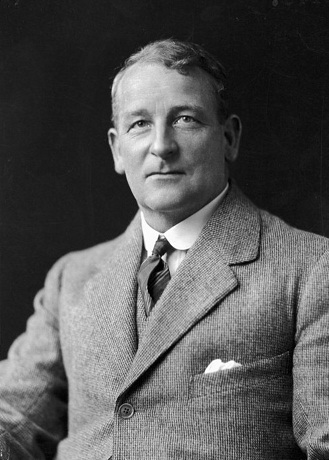 Mr. Burnett (National), who had been member for Temuka since 1919, held a majority over J. A. Kearton (Labour) of 1269 votes, the voting being: Burnett 5204, Kearton 3935. He used to send out a printed Christmas card from Mr and Mrs T.D. Burnett of Mount Cook and the Snowy Mountains with a verse of poetry. "For those in trouble on the land" T.D.B. with apologies to Rudyard Kipling. And the sheep are in the wheat. And the wife begins to say "they may be right." Cheque-signer and toiler lie down side by side. While the flax and tussock are growing free. And the tucker bag will stand another shake. In the darkness just before the dawn. August 27. With the advent of spring we are experiencing a general move in things pastoral. Several station properties have lately, I understand, changed hands. Rumour has it that Mr Donald Burnett, who recently relinquished charge of his father's Mount Cook station in favour of his younger brother Tom, has bought the well-known Grampians run from Mr Wm. Grant, the widely-known wool king, who in turn has purchased Mr Wm. Saunders's interest as sole proprietor of the Wolds and Creek runs. The late owner of these somewhat extensive runs has resided on the former for the last 35 years. About the year 1868, in conjunction with the late A. B Smith, Mr Saunders bought the former run off the late Mr T. H. Hall, and has practically resided thereon ever since. Needless to say, his departure will leave a blank hard to fill, for, though somewhat of a disposition, his assistance was willing sought and freely given in every cause that that appeal to a natural generous disposition. It will be many long year, no matter what changes eventuate, ere his good name is forgotten, and on his departure he will take with him a widespread feeling of goodwill and hope for a strengthening of the robust constitution that of late has not been very satisfactory. As before recorded, Mr Saunders has long been a resident of Mackenzie, and his departure leaves but one of the old identities, viz. Mr Andrew Burnett, of Mount Cook station, who, I believe, invaded this territory some seven years earlier, but latterly has relinquished actual charge in favour of his sons. He is at present residing in the more congenial climate of "down country." I have also to record the departure of Mrs J. H. Preston from Black Forest, where she had resided with her family for several years. They have built a very fine residence near Palmerston South, from whence Mr Preston can the better overlook the extensive and far spread pastoral interest he holds. He has removed his family to his new residence, where no doubt many friends can, as of yore, ever depend on that characteristic warm welcome, whether the call be business or friendly. The tenure review map of the 2463 hectare Mt Cook Station pastoral lease, at the head of Lake Pukaki, will result in 1612 hectares or 65 per cent of the property becoming public conservation land next to Aoraki/Mount Cook National Park. Many of the peaks, streams and other landmarks on the property were named after Burnett family members, neighbours, shepherds and farm dogs, and remain as an historic record of early settlement. Vehicle access to the property is from the Braemar/Mt Cook Station road along the eastern shore of Lake Pukaki. Public walking access up the Jollie River will be by way of an easement through existing freehold land held by Mt Cook Station. This access was offered by Mr Burnett, although strictly speaking it was outside the scope of the tenure review. "A son of pioneer parents and a true lover of the great open spaces." Press, 23 September 1927, Page 6 MR ANDREW BURNETT. The death is announced of another pioneer of South Canterbury, Mr Andrew Burnett, the well-known runholder. The late Mr Burnett, who was in his 90th year, was born at Strathnaver, Sutherlandshire, Scotland, in 1838, and received his training in agriculture during his early years in his native country. He arrived in New Zealand in 1861, but before leaving Scotland he married Miss Catherine McKay who died thirteen years ago. Owner of the Mt. Cook station for 63 years, Mr Burnett leaves a monument to his untiring work in the attractive estate reaching to the slopes of the Southern Alps. It was in 1864 that Mr Burnett, in partnership with Mr George McRae, acquired the original holding then overgrown with scrub, and proceeded to cultivate it. After four years Mr Burnett bought out his partner, and the property remained in the possession of the Burnett family from then on. When Messrs McRae, and Burnett acquired_ their original holding the area was 5000 acres, but since it passed into the hands of Mr Burnett it has been increased to 25,000 acres. Mr Burnett is survived by two sons and four daughters, one son Mr T. D. Burnett, being the member of Parliament for the Temuka district. Timaru Herald, 11 July 1914, Page 9 A TRUE PIONEER. THE LATE Mrs BURNETT. (By Johannes C. Andersen). What though the rooms were wee? And bairnies filled wi' glee. More deeply do I now feel the truth of this; how that she is gone who, as she did indeed fill her bairnies' hearts with gee, would now be the first to cleanse the hearts of her grown children of their sorrow, could she but be there to do so. The nucleus of the Cave property was acquired in the year 1875 with the idea of having a property outside of the zone of disastrous snow, losses, and in 1876 the Burnett's acquired a town house to get their children educated. There was no free education then, and consequently it was much mare highly valued. Such circumstances tended to develop a, spirit of rigid independence. _ One of the late Mrs Burnett's chief ideals was-to lay the foundation for the future success of her family. This meant a great deal of sacrifice on both sides. The family lived in town during the winter, and moved up to the run in summer. ..."One noteworthy fact is that Mr and Mrs Burnett were for many years so situated that they could not attend church, yet the Sunday was always observed. No unnecessary - work was allowed- on the Sunday. It to be hoped that, the present occupiers of the great Mackenzie runs will always remain faithful to the same Commandment." Last night at Cave, Mr T. D. Burnett, Reform candidate for the Temuka seat, opened his political campaign. He was met by an audience of goodly dimensions, and was given an enthusiastic reception. He spoke for one and a half hours, his address being delivered in characteristic, forceful style. It was very attentively listened to, and frequently punctuated with applause.